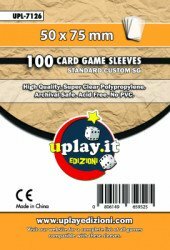 uplay.it edizioni game card sleeves are perfectly cut, strong side sealed and ultra high clear. 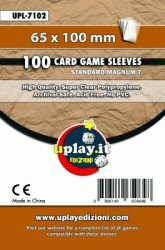 Standard quality packs contain 100 sleeves of 4 micron thick. Premium quality packs contain 50 sleeves of 9 micron thick.